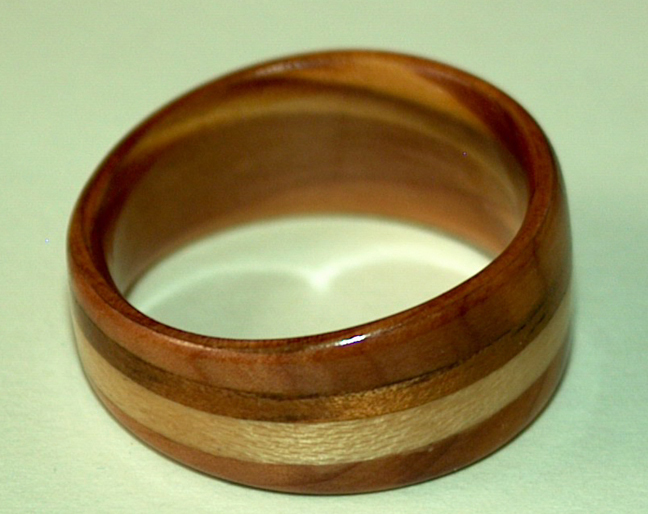 This juniper heartwood ring is banded with koa wood and bird's eye maple. 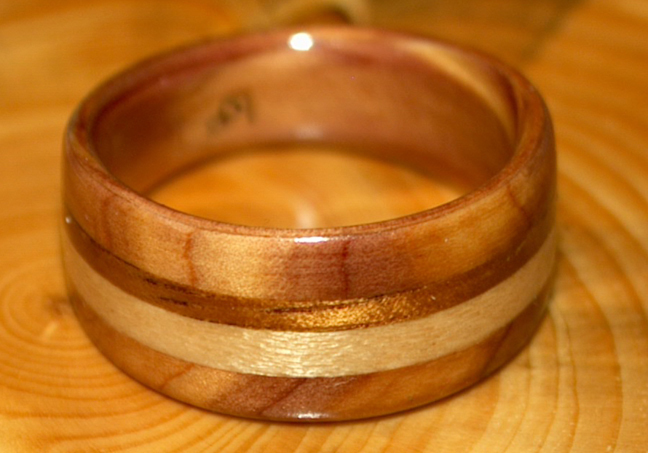 The maple band is 1.5 mm wide while the koa band is 2.5mm wide. The ring is 10mm wide and tapered to 6mm.